ESNG meeting – 15 June 2016 – odds & ends! On a plane tomorrow morning, so I just had time to drop into the club for a chat, but no time for a full write up. But here are a few odds and ends…..
After my recent LNER pacific hunt, here’s another beauty – A4 Union of South Africa, caught by Allan in Worcester. 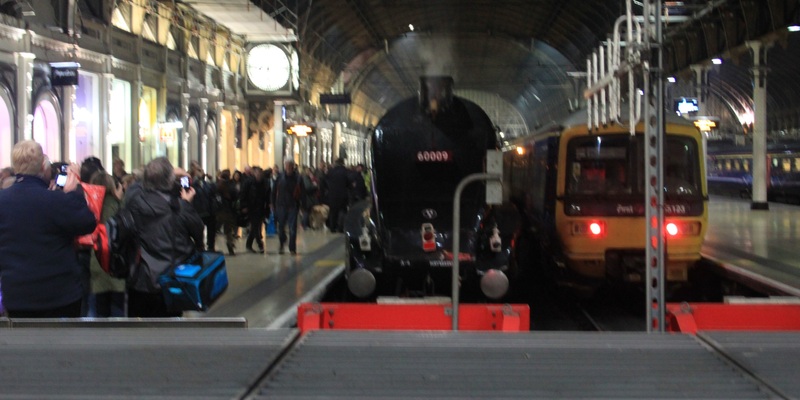 All these LNER pacific’s are set off by that 8-wheeled tender. Perhaps it’s because they are relatively uncommon in the UK, but locomotives with an 8-wheeled water cart always seem a bit special – think of the LSWR T9 4-4-0 and the LSWR and SR 4-6-0’s. With more Stuttgart discussions going on, here are a few pictures from 2014. First, a 30’s goods train looks good on the 90’s high speed electric main line. 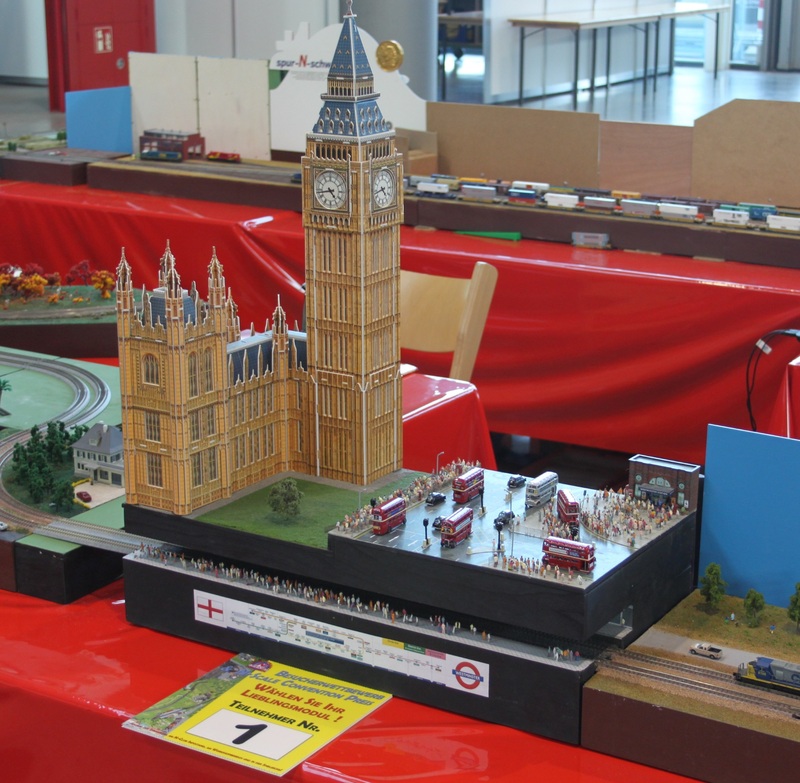 Duncan’s ‘Westminster’ is a regular for the T-track circuit. Duncan has graduated from gluing people onto the pavement to making 100’s of conifers for his Nm modules…..
Sean taking a picture of Allan taking a picture of Sean taking a picture of Allan…. You get the idea! 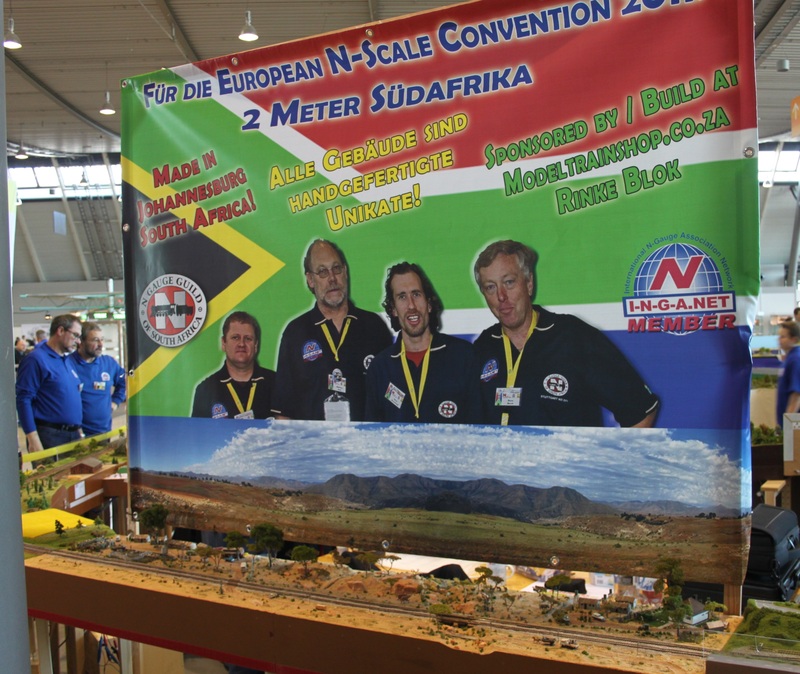 But there is always plenty of inspiring modelling to see at the show. Continuing the South African theme, the SA modules have appeared for several years now, but the creators only got to the show the first time. 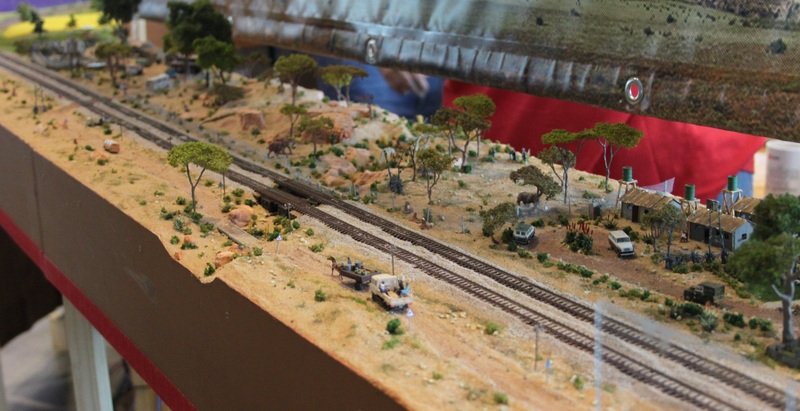 The modules have an impressive display of wildlife watching the trains go by. And there are quite a few animals on the modules, as well…..
1 Response to ESNG meeting – 15 June 2016 – odds & ends! LOOKED LIKEA WHOLE LOT OF FUN!!! !